Fabulous creations last week! Thank you so much for joining us!! # 19 - Ruth H.! It is still winter, even though some of us have warmed up a bit the last few days. But the warm weather won't stop me from enjoying a nice cup of hot chocolate! 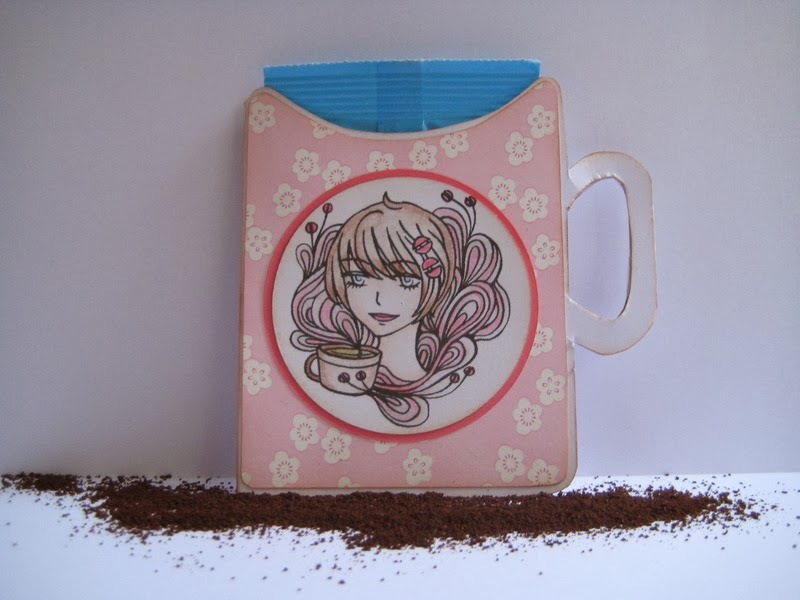 Lets see those warm drinks on your creations this week! 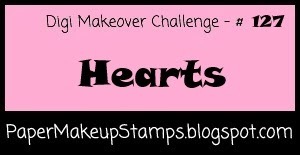 Absolutely loved all the heart creations last week! Thank you so much to all of you that joined us! # 29 - Craftin' Suzie!!! Wow! Incredible entries last week! We apologize if we weren't able to get around and leave comments on everyone's entries. It gets a little difficult with such a large number of participants, but that doesn't mean we don't check them out and swoon over the gorgeousness of them! So thank you for continuously joining us!! 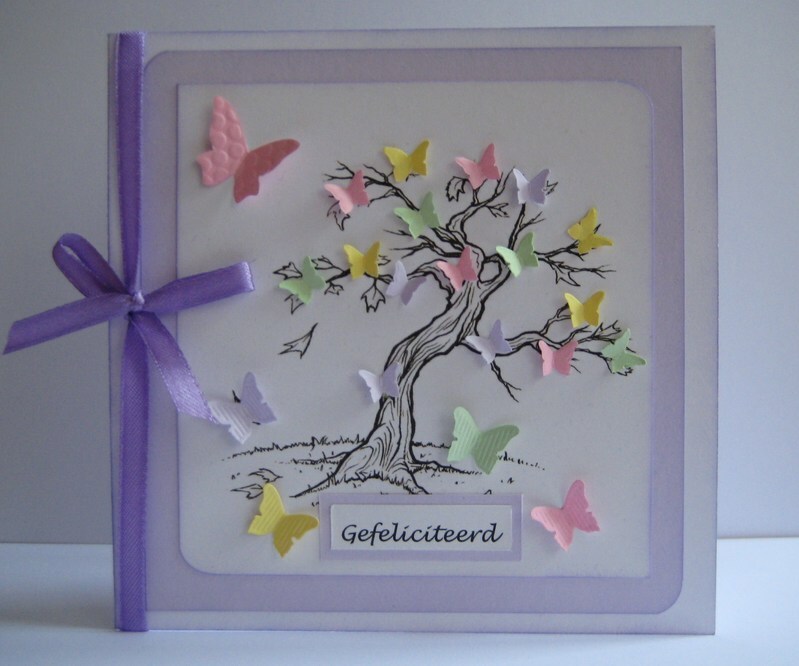 And now to announce the winner of our Guest Designer call who will join us for a challenge in March! It was definitely not an easy decision. We loved so many of the entries, each with their own unique style and design, and we want to encourage you to continue to join in the calls each month as we may increase the number of designers we choose to join us! Congratulations Ziggy and Colette! 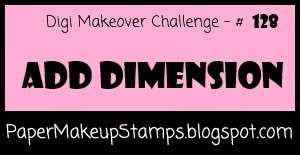 Please send an email to Emily at digimakeover@gmail.com and grab your badge on the right side bar!! It's the month of love, so throw a few hearts on your creation! 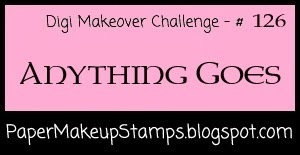 Digi Makeover Challenge #126 - Anything Goes and a Guest Designer Announcement!! Gorgeous blue creations! Thank you so much to everyone that joined us last week! 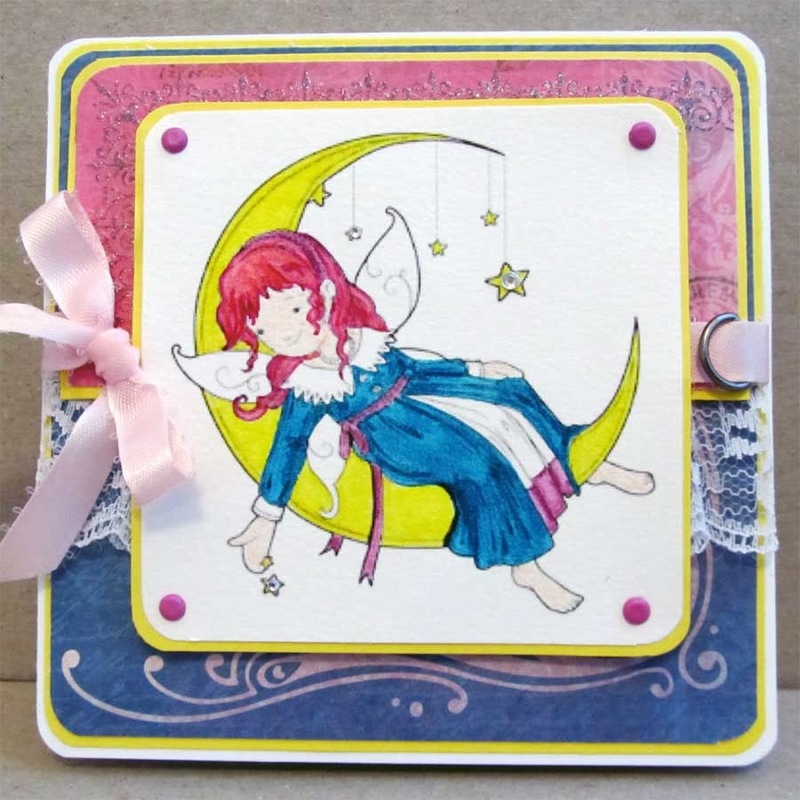 The first challenge of each month we will be having a guest designer call. All you have to do to apply is add -GDT after you entry name and our makeup artists will select one person from the entries to join us for a challenge the following month! If you are selected, you will be provided a Paper Makeup image to use on your project. There are also new Guest Designer and Winner badges! They can be found on the right side bar! We love having each and every one of you join us every week! Thank you so much!! 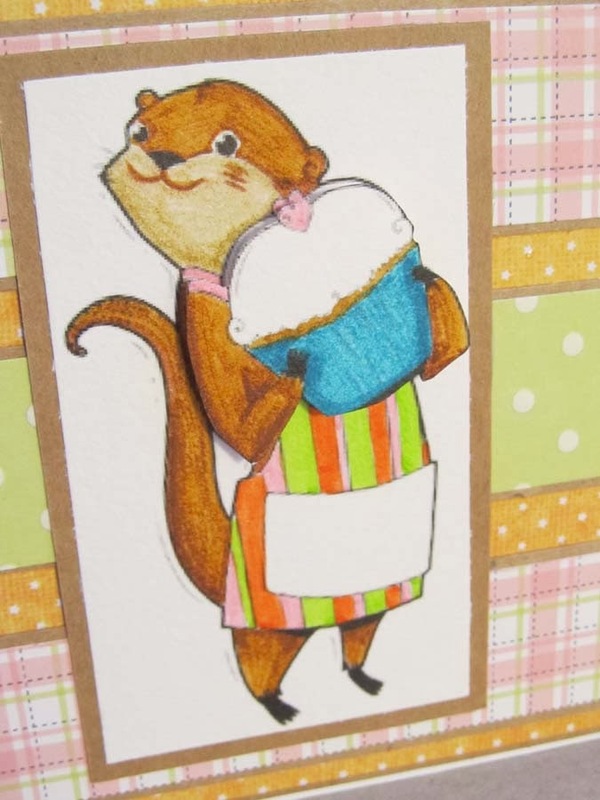 Now pull out your digi stamps, gather up your supplies, and enter in our guest designer call! !